The Earth is the cradle of humanity. But one doesn’t always live in the cradle. The Noosphere Engineering School (NES) of Max Polyakov (Maxym Polyakov) is a project that joins leading Ukrainian Universities and Noosphere. The organization combines efforts of academia and executive team of Noosphere to share practical and theoretical knowledge in the frame of developing projects based on science knowledge and business approach. NES and Max Polyakov build the bridge between experience and creativity, enthusiasm and practice background, innovations and set regulations. The Noosphere Engineering School declares synergy of students, experts, and engineering enthusiasts in order to do best to be at the forefront of engineering breakthroughs. The Noosphere Space Engineering School was founded in 2017 as a cooperation between Oles Honchar Dnipro University, Space System Engineering School and the Noosphere Engineering School. The cooperation was made possible thanks to the great assistance from Association Noosphere and Max Polyakov. 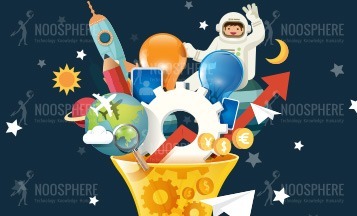 The Noosphere Space Engineering School works under the guidance of American Councils. The mission of the Noosphere Space Engineering School of Max Polyakov is to help students make advancements in aerospace and other high-tech spheres through computer-assisted engineering and design. The Noosphere Space Engineering School initiated by Max Polyakov bridges the gap between researchers and practitioners so they can work more closely with academia and students. The curriculum centers around laying out basic problem-solving approaches so that staff and students can generate their own opportunities for the inventors, entrepreneurs, and scientists of tomorrow. Through combining theory with practice, Maxym Polyakov is building a stage on which the creative potential of students can flourish so that graduates of the school are able to carry their generation into the future. The students of the Space Engineering School design sub-orbital rockets. The satellites used by students are small “CanSat” standard satellites destined for sub-orbital rockets or “CubeSat” Satellites in 1U or 2U format. The Noosphere Space Engineering School of Maxym Polyakov includes the Space Information Technology Department. With the support of the Association Noosphere, the Space Information Technology Department was opened at the faculty of physics and technology of Oles Honchar Dnipro University. The mission of the Space Information Technology Department supported by Max Polyakov is to provide world-class training standards that will be highly competitive in the world market of space services. The goal of the department is to train specialists who navigate and understand the market ecosystem and ensure effective development and application of technical systems operating in near-Earth space. The Noosphere Space Engineering School initiated by Max Polyakov consists of several labs. Solutions for problem optimization to do with strength, mass reduction, etc. Practical training of specialists in the field of CAD, CAE, etc. Practical training of specialists in the field of manufacturing technologies for structural elements made of metal and non-metallic materials, including 3D printing and winding. Selection of modern materials and technological processes and the development of high-tech equipment. There are also laboratories for testing missile containers. By combining theory and practice, Space school and Max Polyakov strive to build a platform aimed to unleash the creative potential of students. Hopefully, in future, the graduates engage their generation by focusing inventors' talent and energy around making the world a better place to live in. The Noosphere Space Engineering School students gain new knowledge, use new technologies and equipment in the educational process. Maxym Polyakov believes that successful training will leverage their skills up to leading specialists’ attains which give them an opportunity to collaborate with high-scaled companies all around the world: NASA, Firefly, EOS, Airbus etc. Pass a space quiz from Noosphere Engineering School and win a prize! QUIZ will be held at Max Polyakov's Noosphere Engineering School. In honor of Albert Einstein’s birthday, the Dnipro Engineering School will conduct a QUIZ science quiz. QUIZ is fun time, brainstorming and excitement of rivalry. Participants will compete for the title of "Expert in Science" and a prize fund of 1500 UAH. The program "Business Planning. Innovative Project Development" is the experience of creating innovative projects and the process of obtaining a unique product. The Engineering School, Founded by Max Polyakov, invites students who like to be leaders and lead the team. The program will run on Wednesdays and Fridays from 15:00 to 17:00. Max Polyakov, Founder of Association Noosphere, monitors the working days of Engineering School students. On January 28, an open lecture on circuitry from Mentors of the School in Dnipro was held. Students of the Faculty of Applied Mathematics DNU them. Oles Gonchar started pre-diploma practice in the walls of the School. On the same day in the laboratory, the winners of the NASA Space Apps Challenge Dnipro met with representatives of the Dnipro Planetarium. They discussed content ideas for a movie about the Mercury. On January 25, Engineering School students in Rovno listened to lectures on effective work with the file system in Unix-like operating systems in the Python programming language. The lecture was given by mentor Mikhailo Boyko. On January 27, students took part in the Global Game Jam 2019 and won first place at the local stage of the hackathon. In 48 hours, the Sweet NESs team developed the Tesla Hamster 3.0 game. The guys got a chance to be represented at the Nights Berlin '19. Max Polyakov’s Association Noosphere is proud of the School students and wishes them continued success. The 3D modeling course for Max Polyakov’s Noosphere Engineering School students became a finalist in the Innovations category among 700 projects. The goal of the Meet and Code initiative is to get young people interested in programming and information technology. More than 52000 schoolchildren and students got acquainted with modern technologies. In 2018, Meet and Code awarded the best projects in the categories: Innovation, Kick and Code, and Diversity. The event, which was organized by NES, was one of five finalists in the Innovations category. In the course of «Generation 3D», 36 students learned three-dimensional modeling, 3D printing, mastered the basics of designing printers, prepared and implemented their own CAD models. The next step will be the final assessment of the jury Meet and Code Award. Max Polyakov,Founder of Association Noosphere, congratulates the students of Noosphere Engineering School on the projects protection in the course of engineering analysis in ANSYS. The commission members were School mentors: Oleksandr Alkhimov and Yevgeny Bikir. In addition to the finalists of the space tournament, Star Track 3 jury praised the viability of other participants projects. The Albatross team presented a program to simulate missiles. Its essence is to calculate the ideal parameters of the spacecraft. The Mechtatel team presented a draft drone with unique flight characteristics. The guys from Moon Town designed LuTraktor - a device that clears the territory of the Moon for landing spacecraft. OceanSky designed a model of a reusable flight vehicle that uses water as a takeoff and landing platform. The SpaceLaunchStudents team designed a three-stage rocket and a spacecraft to colonize the Moon. TORCHWOOD worked on the space elevator design - facilities for launching cargo into space, without the use of rockets. The guys from Rocket Dynasty offered to create fire-fighting unmanned vehicles that would patrol the territory to identify and inform about the fires. Star Track passed the third time in December 22, 2018. 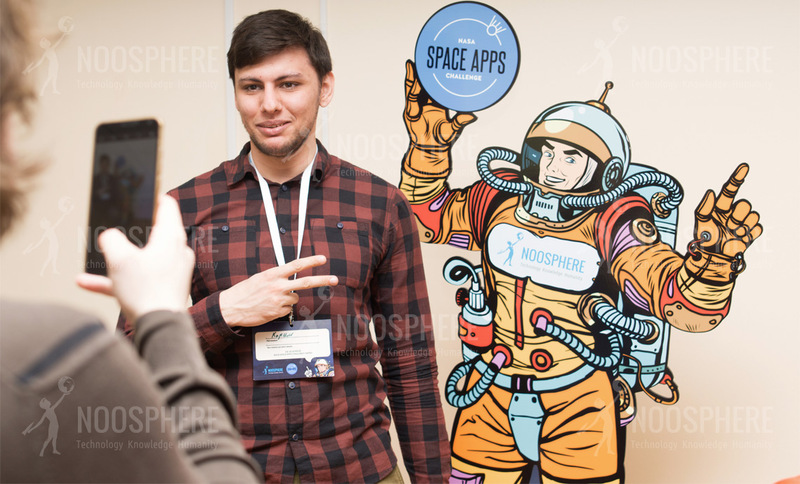 Noosphere Engineering School gathered 12 teams from three cities: Kyiv, Dnipro and Kharkov. Among them was 10-year-old Kirill Blagodarov, who participates and wins in the Max Polyakov’s Association Noosphere initiatives. The finalists divided the prize pool in the amount of 25 000 UAH. Traditionally, a bonus was the opportunity to refine their developments on the basis of the School. Immediately 2 projects presented the youngest participant of the tournament - Kirill Blagodarov: CleanLeo - spacecraft for collecting debris in orbit, CleanGeo - for satellite maintenance. On November 30, the Engineering School held a pitching session of 6 student teams projects of the laboratory of robotics, electronics and IoT in Dnipro. Max Polyakov announced that after finalizing the projects, the jury will select the best startups that the Engineering School will finance! According to Max Polyakov, Dnipro Engineering School students have developed a startup that will monitor the air quality in the city. MonAir is several stations for assessing air quality, with 24-hour online city residents support and most importantly low-cost. The development authors are robotics laboratory students - Vladimir Tarasov and Vitaly Mishchenko. The work on the startup was carried out with the mentors support - Igor Gomilko, Tatyana Bulanaya and Mikhail Fesenko. In the near future, the team plans to certify the system, set up production and bring the product to the market. For those who want to create their own engineering projects and know how to promote a product, Association Noosphere organized a lecture hall at the Engineering School of Dnipro, according to its Founder Max Polyakov. On November 9, Michael Ryabokon, co-founder Noosphere Engineering School, spoke about the features of advancing engineering projects. The event gathered over 100 guests ready to discuss marketing for hardware projects and act. • MonAir air quality monitoring system. It is necessary to launch and promote the system to the market. In the course of work on projects, marketing students will be provided with mentoring support from top managers of companies that are members of Association Noosphere. Every Friday, students from various educational institutions visit the laboratory of the Dnipro Engineering School. The guys get acquainted with the robot Nao Noosphere, get practical experience and knowledge. So, students from the College of Rocket and Space Engineering DNU have successfully completed the practice, presented and defended their projects on the basis of the Engineering School. First years students of the Faculty of Applied Mathematics visited the laboratory of robotics and participated in the brainstorming - the creation of innovative engineering projects. On October 31, the School was visited by guys from FIRST in Ukraine - a public organization that introduces innovative educational technologies and organizes international educational STEM programs in Ukraine. The guests pleased the mentors of the Engineering School with their curiosity and interest in robotics, says Max Polyakov, Founder of Association Noosphere. On the weekend, October 20-21, guests from the NMetAU, as well as guys from the College of Rocket and Space Engineering, visited the laboratory of the Dnipro Engineering School. A master class "Noosphere Wide Open" was held at the Rovno Engineering School at the NUWEE. The most striking and memorable event was the NASA Space Apps Challenge, in which the teams WATW and Interstellar Dolphin won. Max Polyakov wishes the guys luck in the international stage! Also, the guys independently conducted tests and supplied the device with a Wi-Fi antenna, charging devices for the marker and a Wi-Fi router. Max Polyakov congratulates the NES team on the completion of the project and hopes for successful device operation at international competitions! Также, ребята самостоятельно провели тесты и снабдили аппарат Wi-Fi антенной, зарядными устройствами для маркера и Wi-Fi маршрутизатором. Макс Поляков поздравляет команду NES с завершением проекта и надеется на успешную работу прибора на международных соревнованиях! In May 2017, the Best Device for FAI Innovation Contest won the NES. The students of the School were the only ones who could show a prototype of their project, which fully complied with the technical specifications proposed by the FAI. In October, the team of the Engineering School completed the development of the device. With the help of the mentor Sergey Poslavsky, the students of the School developed a device for aeronautics competitions, which will measure flight performance, such as altitude. They also developed software capable of collecting competition results and displaying them online. The device has been tested and is ready for the presentation, reports Max Polyakov. The Roundtable at the Engineering School consisted of 3 discussion topics, reports Max Polyakov, Founder of Association Noosphere. Theme number 1: the development of higher education in Ukraine. Space education is the intersection of business and science. Combinations of specialties. Theme number 2: space specialties: recruitment, training, the needs of the employer and their compliance with the curriculum of universities. Industrial practice and engineering laboratories on the basis of universities. Theme number 3: the experience of training specialists in the space industry abroad. The system of development of education in the context of decentralization. Factors affecting the formation of the university. The future of space education. October 10 at the Noosphere Engineering School held a Roundtable on space education in the country. The event was held with the support of the Oles Honchar Dnipro National University and was dedicated to the centenary of the university. In addition, the event was held in the framework of the World Space Week under UN patronage. Participants discussed the problems of modern space education and training programs. Max Polyakov says that the Noosphere Engineering School is actively involved in solving these problems. Programs that are implemented by teams of four Schools compensate for the problems of universities and help students gain an engineering practical base. Max Polyakov spoke about the forum "Robotics in our life"
On October 10, the Cherkasy Engineering School team joined the promotion of robotics in the forum "Robotics in our lives." Representatives of the authorities, leading enterprises of the region, educational institutions, teachers, employees, students and schoolchildren who have already achieved results in the robotic direction gathered in Cherkasy State Technological University. The forum was attended by representatives of the departments of the Faculty “Electronic Technologies and Robotics”, as well as schools of robotics. Engineering School actively participated in discussions on the development prospects of robotics. The Department of Space Information Technologies of the Oles Honchar DNU has developed a 10-hour program for teaching students of 14-17 years of basic 3D design. Classes will be held from 8 to 19 October. Upon completion of the course, each student will receive a certificate and a model that he printed on a 3D printer, said Max Polyakov, Founder of Association Noosphere. September 12 at the Engineering Schools of the Dnipro, Rovno and Cherkassy, ​​the "Night of Engineering Ideas" was held. Students and mentors of laboratories presented startups to the guests of the event, announced vacancies in projects, discussed plans for development and cooperation. The laboratory in Rovno was visited by 22 people, in Cherkassy - 25, and in the Dnipro more than 50 people gathered. In the Engineering School of the Dnipro, mentors told about new projects. The first is an updated Power Box - a public device for charging mobile devices. About the idea of ​​the projects "Laser clock" and "Tracker" The Engineering School of the Dnipro promises to tell later. Max Polyakov, says that the goal of NES is to create an ideological platform where students can implement theoretical knowledge in practice and design innovative products. On April 16, 2017, a program student rocket was completed at the Max Polyakov’s Engineering School. It flew up to 2.5 meters. The constructions of the rockets continues. Guys with teachers, wants to implement two more projects: launch of a rocket with a high of 2.5 thousand meters; launch rocket with a high of 7 thousand meters. This launches will take place in autumn 2018. Team will work for 3 years over the launches. Its goal - the design different classes of rockets. On June 9, Noosphere Engineering School held a space tournament Star Track-2. The composition of 10 teams included students and graduates from 4 universities of the Dnipro. Max Polyakov, Founder of Association Noosphere, draws attention to the fact that the winning teams gained access to the scientific base of the Engineering School. Also Association Noosphere awarded winners with a cash prize of 20 000 UAH so teams can continue to develop their projects. Albatros - a rocket with a flight distance of 15 km. Max Polyakov, Founder of Association Noosphere, opened the NES laboratory in Rivne. This School will specialize in the effective nature management. "Open the data. Community Support "- monitoring the state of the planet's resources (forests, reservoirs) and assessing the risk of emergencies. "Assessment of soil moisture" - determination of soil moisture for maximizing yield. «Big Meteo Data Analytics» - analysis of climate change and the impact of human activities on the nature. To recap, the students of the Engineering Schools with the support of mentors have created more than 11 projects, such as satellite CanSat, LaserClock, ArtOs and "My Police". On the 2nd of December, a remarkable event in the student space project development field took place. On this day, pitching sessions of Star Track tournament were held in Dnipro, Ukraine. The students presented prototypes of their inventions in the field of space research. 7 teams and 28 members were fighting for the opportunity to develop and test their projects at the Noosphere Space Engineering School, founded by Max Polyakov. Moreover, winning teams got cash prizes. As a result, 5 teams are working on their prototypes. They have until April 12, 2018, to submit their results. The Noosphere Space Engineering School, which was founded by Max Polyakov, opens its doors to goal-oriented students who dream to launch their own rocket. Young enthusiasts who dream to launch their own rocket will soon get the chance. The Noosphere Space Engineering School (NSES), founded by Maxym Polyakov, has opened its doors to hard-working, goal-oriented students. The school currently has three labs: an optimal design and construction lab, a technological production lab, and a non-destructive test lab. The initiative has been backed by two aerospace companies: SSE and EOS. Besides, NSES cooperated with the World Air sports federation, NASA, American Councils, and Ukrainian universities. The Noosphere Space Engineering School team took part in an American amateur rocketry competition. The idea to participate was initiated by Max Polyakov. 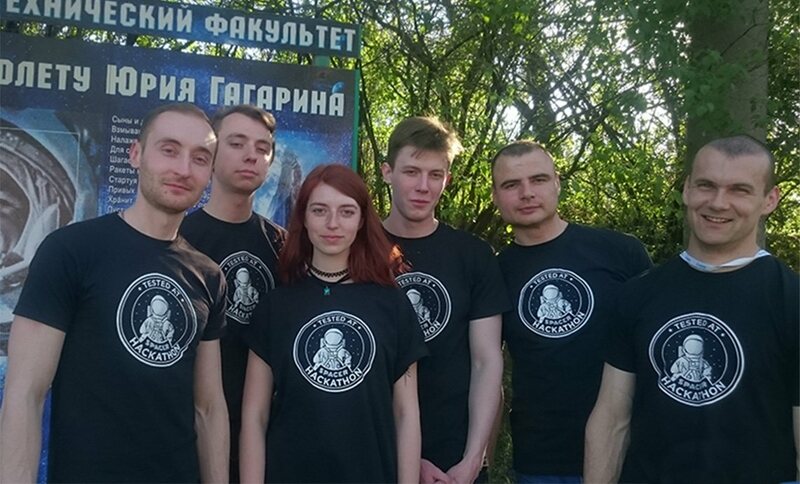 May 2017 will be remembered by the Ukrainian team from the Noosphere Space Engineering School, founded by Maxym Polyakov, as they were able to take part in TARC 2017, Team America Rocketry Challenge 2017. TARC is a part of US defense and aerospace policy that draws attention to technology, science, mathematics, and engineering. The experience of the Ukrainian team will help spread the idea of amateur rocketry around the globe and arrange competitions in their home country. On March 15-17, the International exhibition called “Modern Educational Establishments” took place for the ninth time in Kyiv Palace of Children and Youth. Representatives of Noosphere Space Engineering School by Maxym Polyakov took part in it. The task of the innovation tournament was not simple. The students had to create a device that destined to be applied while the air balloon competitions took place. Most of the team's members represented leading universities of Ukraine. Team by Max Polyakov’s Noosphere Space Engineering School found the best way to automate the measurements of the markers that would provide the most exact result. On May 2017 the students of Noosphere Space Engineering School powered by Maxym Polyakov became winners of the tournament by developing the best device for FAI measuring distance system. The events like this one, drive those students’ attention who plan to launch their own space project. Max Polyakov gives an opportunity to those enthusiasts who not only dream but also ready to invest their time and efforts to fulfill their dream. “Star Track” competition, initiated by Maxym Polyakov in the frame of Noosphere Space Engineering School, gives real chance to create a prototype of winning project for testing. Tournament topics include the research missile complex, CanSat, and Free Style. Follow another social and scientific projects supported by Max Polyakov at max-polyakov.engineering, max-polyakov.events, max-polyakov.technology, maxpolyakov.space, max-polyakov.training. © 2019 Max Polyakov. All Rights Reserved.